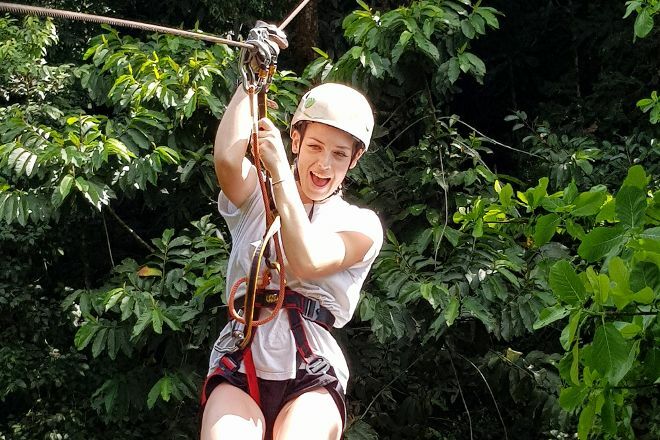 When you search for adventure with Osa Canopy Tour, you'll spot many animals, including howler monkeys, sloths, butterflies, toucans, and more. 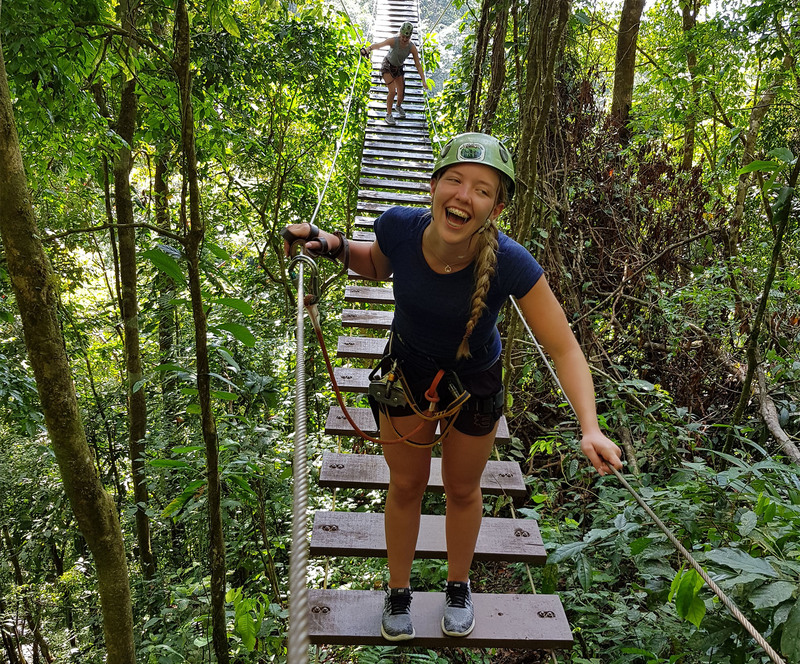 The zipline includes 9 cables, 14 platforms, two rappelling stations, suspension bridge, and a Tarzan swing. You'll fly over a waterfall and river, and be able to enjoy unparalleled valley and ocean views. 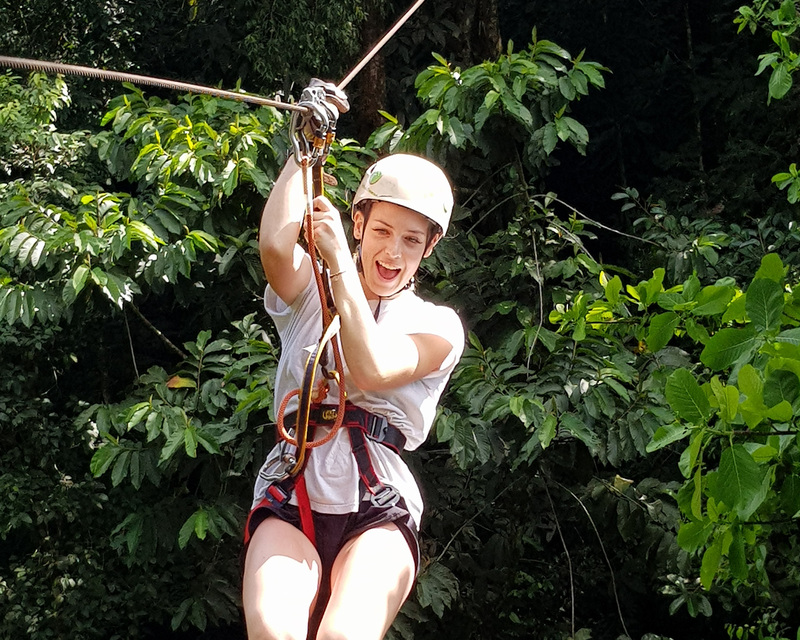 This activity takes place in a private reserve spanning 323 hectares (800 acres) covered by primary and secondary rainforests. The beginning of the tour will take you above the confluence of Terraba River and the Pacific Ocean. Book at least three days in advance, or call the operator directly if you plan to visit on short notice. Plan to visit Osa Canopy Tour during your Ballena vacation using our convenient Ballena visit planning tool . Very nice experience. As much for the Zipline as it is for surfing. The guides are very nice, funny and take the time to explain well so that we are comfortable. We all loved our activities. I highly recommend this company:). Best Canopy ever!! There is nothing like this!! I did the tour and Jacob, Emanuel, David and Noises were amazing guides, they will help you whenever you need it. The rappel is super exciting and the hanging bridges super fun!! You will only regret if you don't do it. The Zipline tour was super fun. The view up in the high mountains was magnificent. The guides were very nice and helpful. I would love to visit again in the future.